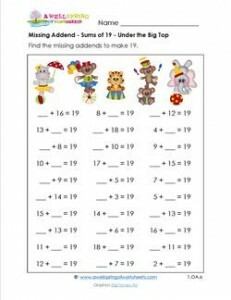 This missing addend worksheet with 30 problems and sums of 19 is only for the serious and undistracted. Why? There’s a lot going on under the big top!